How braun coffee makers leaves an impression? If the title on braun coffee makers and impressions is making you smile, I would know that you are someone that follows braun range of products very closely. 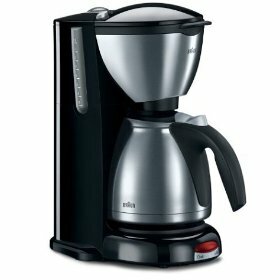 Yes, this article is about braun impressions coffee maker. 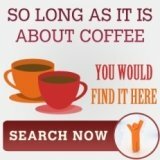 For some time, I wanted to write an article about the "best" braun coffee makers, but unfortunately, after pondering for a while, I still cannot locate that "best", although I know that many of you would say that the braun tassimo is one of the best but of course, there would be folks that would also root for aromaster. So, rather than trying to come out with one single best braun coffee maker, I would like to highlight a braun coffee machine that caught my eyes recently -the braun impressions coffee maker. The first thing that caught my eyes and I believe is also one of their features which braun used extensively in their marketing campaign -the look and feel. Being a winner of reddot design award, it is clear that a lot of effort of was invested into this coffee maker to ensure that it look anything but good. Well, it is good to have a great looking coffee maker, but what about its functionality? 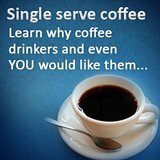 The most important aspect of a coffee maker is to have the ability to keep serving hot and fresh coffee for a while. 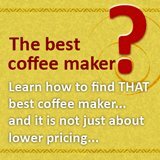 Many coffee makers in the market failed miserably with their heating plate. So, for the braun impressions coffee maker, they have this insulated and "supposedly" unbreakable carafe to keep your coffee hot for up to 3 hours. 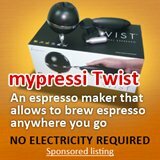 If you are looking for a coffee maker with a great function, this alone would suffice. But, braun value add do not stop here. Other than providing the basic fresh and hot coffee, they design the impressions coffee maker to be very user friendly. The first feature that would assist the user is the pour and lock system. It serves a two prong purpose of keeping coffee flavor inside the carafe while making it very easy for you to serve your brewed coffee. Since we are on the topic of flavor, braun coffee makers has an exclusive element that further ensure that the coffee that is brewed from their coffee makers are of superior quality -the brita water filter. This brita water filter ensures that the water quality is better or "soft" so that the coffee brewed would be of higher quality.